NEW YORK (Reuters) - Oil prices tumbled more than 1 percent on Friday, extending losses after weekly data showed U.S. drillers added rigs for only the second time this year. Drillers added nine oil rigs in the week to June 3, Baker Hughes said. The closely followed report rekindled fears that U.S. shale drillers would turn the spigots back on as prices flirted with $50 a barrel. Prices had already dipped in early trade on worries about the U.S. economy, but losses were limited by a weakening dollar, which makes oil less expensive for buyers using other currencies. The Baker Hughes report sent prices sharply lower. "The increase in the rig count as prices near the $50/bbl range is clearly indicative of the elasticity of U.S. production and speaks to the tremendous efficiency gains reaped by the U.S. producer community over recent years," said Michael Tran, director of energy strategy at RBC Capital Markets in New York. Oil traders view falling U.S. output as key to reducing a global glut of crude that has pressured prices during a steep two-year slump. Brent crude futures fell 58 cents to $49.46 per barrel by 1:24 p.m. ET (1724 GMT). Brent's price still remained almost double January lows, on track for its eighth weekly gain in nine weeks. U.S. West Texas Intermediate (WTI) crude futures were down 69 cents at $48.48, on track for its first weekly decline in four weeks. Oil prices have rallied from this winter's lows due largely to supply disruptions, particularly in Nigeria, Venezuela, Libya and Canada. On Friday, militants in the restive Niger Delta region that produces more than half of Nigeria's oil claimed three new attacks on oil infrastructure, promising to bring the country's oil production to "zero." Still, news that ExxonMobil lifted its force majeure on exports of Nigeria's Qua Iboe crude oil, looked likely to bring barrels back to the market. "If you're starting to see some of those barrels coming back, well, that's happening ahead of schedule, in my opinion," Bob Yawger, director of the futures division at Mizuho in New York. 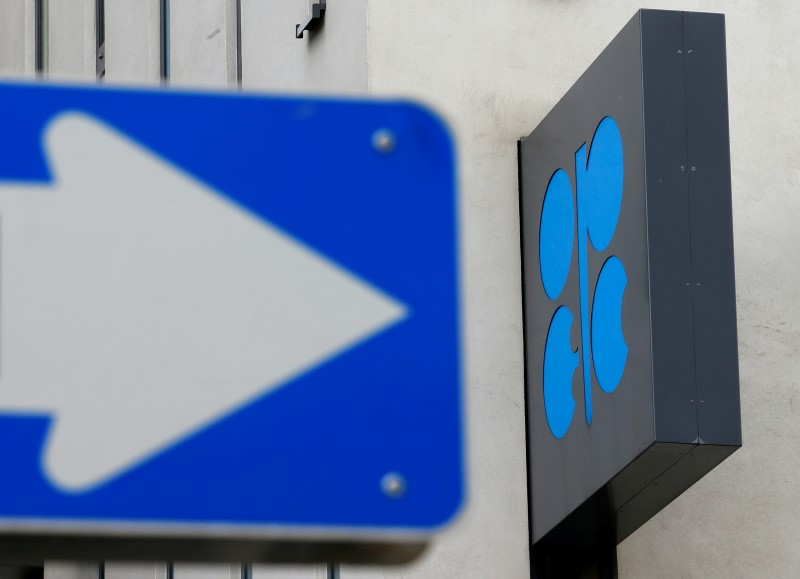 The tone of the Organization of the Petroleum Exporting Countries (OPEC) meeting in Vienna on Thursday supported prices "from the perspective that none of the major players (except Iran) indicated that they would be further flooding the market with oil anytime soon," said Energy Management Institute analyst Dominick Chirichella. Weaker-than-expected U.S. non-farm payroll data supported oil by sending the dollar index to its lowest since mid-May. However, the weak data also pressured oil prices by raising concerns about U.S. gasoline demand this summer, Yawger said.